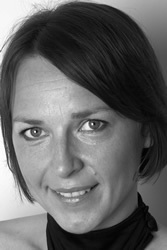 Jenna Robins, holistic therapist, massage therapist, teacher, radio chat show host and columnist, is the founder of www.karmaclinic.co.uk. The Karma Clinic website launched in August 2006. This Internet business will educate you regarding complementary remedies and therapies that actually work! Tried and tested in her clinics for the last 17 years, Jenna's recipes, advice and complementary therapy clinics are available for the first time for you all to benefit from. No chemicals, no synthetic ingredients, no preservatives and now available online! Check out the Karma Clinic mail order product line for traditional pure seaweed therapy products, for you to use in the comfort of your own home. All Karma Clinic seaweed products are eco-friendly, hand harvested and 100% natural! Chemical free seaweed soaps, seaweed baths, facials, joint wraps, full body wraps soaks, body, face and scalp scrubs, healing mineral sea salt baths and wrap sheets. Two natural cotton travel bags are supplied with all the information you need to be the client and the therapist, to perform treatments on yourself, relatives and friends. Karma Clinic's seaweed products are packed full with three different types of active seaweed. They act upon your skin and muscles. The seaweed is hand harvested from crystal clear waters around the coast of Northern Ireland and Eire. All seaweed used in Karma Clinic seaweed products is hand harvested by a conscientious environmentally friendly seaweed farmer, thus protecting aquatic life.